Hydrant wrenches are multi-functional tools designed specifically for the fire protection industry. 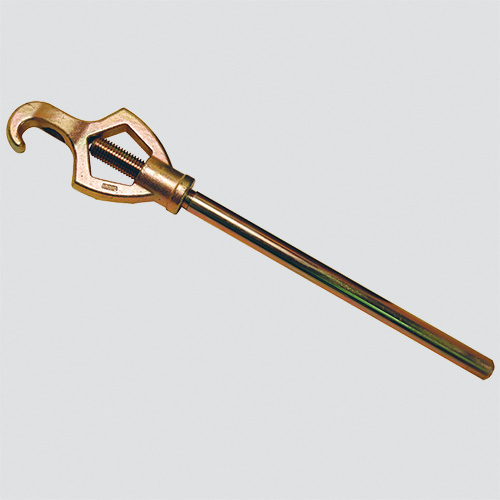 They have a durable, malleable iron head; a steel handle; and a plated finish that resists rust and corrosion. The heavy-duty wrench will adjsut 1-1/2" through 6" rocker and pin lug fittings, pentagon hydrant nuts up to 1-3/4", and is notched to fit 1-1/4" square hydrant nuts.